Is it spying on me? Privacy is a major concern regarding smart speakers. Once powered up and connected to your Wi-Fi, it is listening in your home 100 percent of the time. Listening is its core function — it needs to hear you say the "wake" word to then process your question or command. Amazon claims that it only starts recording once it wakes up, but there is no way to know for sure. Ultimately you need to decide if the benefits of owning a smart speaker outweigh the risk of potentially giving up some privacy. Will it make me unintelligent? Ever since the internet became available on handheld devices, the need to think through problems has decreased. It is often debated that having the answers to almost everything at our fingertips can suppress cognitive development. According to the National Center for Biotechnology Information (NCBI) that line of thinking might not be correct. The study of the relationship between brain development and technology is still in its infancy and test results are often counter-intuitive. The conclusion? No one knows! Given this, as a buyer you should be aware of the possibility of dynamic changes in the way we think, especially children. One idea is to limit the time the device is on, just like monitoring use of cell phones, computers and tablets. Will I lose my manners? A smart speaker doesn't require you to say "please" and "thank you" to get what you want. A simple command is all that is required. 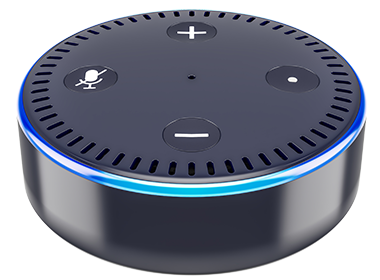 The Atlantic published an article pondering how giving verbal commands to a smart speaker with the "casual rudeness" that is required could possibly change the way you talk to people over time. A good defense against losing your politeness is to be self-aware of your speech to others. According to a study by the European Journal of Social Psychology, it takes 66 days to create a habit. Set a reminder on your smart speaker (wink) for two months from now to politely remind yourself to pay attention to your vocabulary. While there is no shortage of opinions regarding the use of smart speakers in the home, it's up to you to decide if it fits with your lifestyle. If you are torn, Amazon and Google have smaller versions (Echo Dot and Google Home Mini) that are relatively inexpensive. You can try it out for a while and see how you like it. If it goes well, you can spring for the larger model and move the smaller version to another room in the house. If it goes poorly, you can sell it or give it to someone else. Feel free to forward this newsletter to someone who may benefit from this information.